Red robes almost never belong to the good guys. 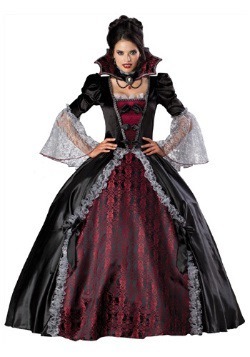 Think about it - Name one character that wore a black and red robe like this and wasn't either an evil villain, an evil witch, a vampire, or the devil herself. (If you could name one, we are sorry, we were just trying to play the odds, we couldn't think of one.) But for the majority of you who couldn't name one, our point is made! This robe can play a lot of different roles, but all of them are evil. 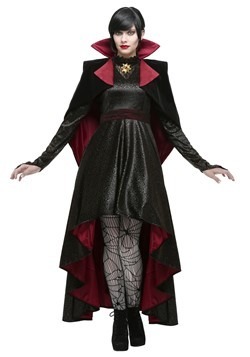 This robe has a classic evil feel to it that we really appreciate. You'll be wearing a hooded robe made out of 100% polyester. 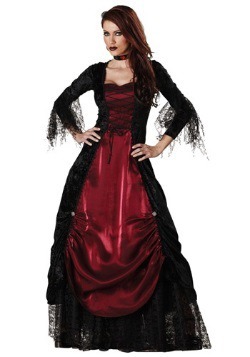 The robe is primarily black, but the front is red and is accented with black lacing. 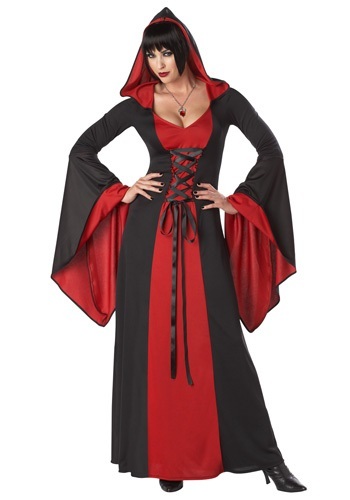 The inside of the hood and the sleeves are also red, giving this whole ensemble a stylish yet evil look. 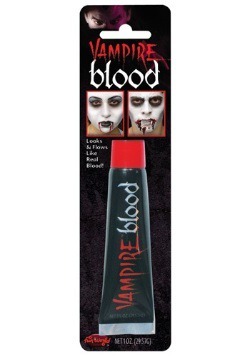 All you will need is either vampire teeth, a broomstick, or devil horns and your costume will be complete. If you end up trying to be good while wearing this costume, we wish you the best of luck. This robe was made for the evil, and it fits the bill almost too well. No one will believe you if you say "I'm an angel in red and black." The only angel they will be able to picture in that color scheme is Lucifer!